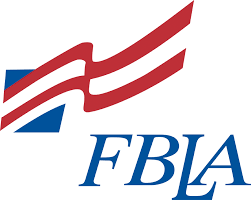 Twenty-nine Elmwood-Murdock FBLA members attended the State Leadership Conference in Omaha from April 4-6. At the conference, members participated in competitive events, attended educational workshops, and campaigned for state office. Eight members qualified for the National Leadership Conference. E-M junior, Zane Rikli, campaigned for Nebraska State Treasurer with the theme, “No Zane, No Gain.” As part of the campaign process, Zane gave a 2-minute speech at the opening session; set up and worked at a campaign booth for two days; and answered questions about his goals and qualifications at a formal caucus. Zane ran against three competing candidates for the same office position, and while he did an outstanding job of representing our chapter, he unfortunately did not receive the majority vote to secure the office position. It was a great learning experience for him and chapter members were proud of his hard work, enthusiasm, and positive attitude during the campaign process.